The Newest bridal styles of 2016 and how to wear it now. I am busy ordering the newest designs from my partner brands that arrive in-stores around the world in 2016. Soft silhouettes and smooth textures of crepe, chiffon and poly-silk blends that give a “stretch” to the dress are being revealed. High necklines, straps and covered shoulders are leading brides into a more sophisticated, minimalist and enlightened approach to their bridal look. My favorites are by Atelier Pronovias 2016. – A.P. prices start at 200,000. THB. However, an affordable version can be found in the Pronovias Barcelona 2016 collection, starting at 60,000. THB. Both collections will become available in bridal stores worldwide by March 2016. If you are marrying this year but are keen to adopt the modernist approach to bridal, then there are a few options already available in the Elie Saab 2014 collection. Sagitta and Octans by Elie Saab are sleek designs that incorporate a dash of lacework and hand-beaded silk flora for opulent modernism. Sagitta & Octans by Elie Saab available now! 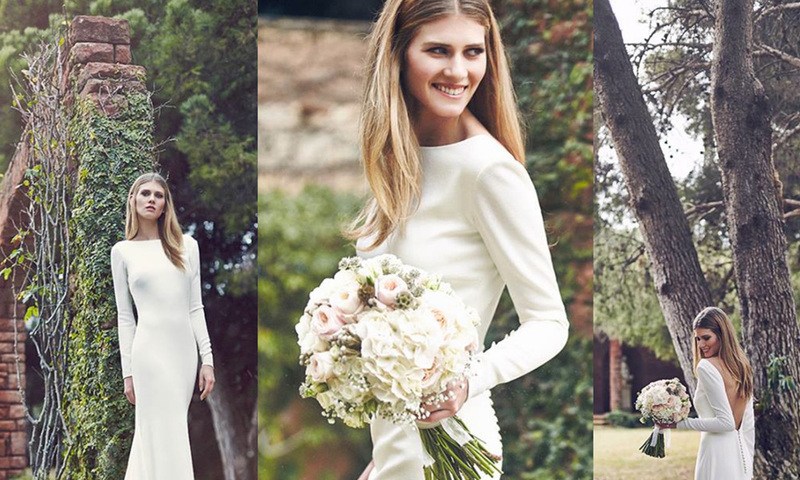 For brides who require a strong mermaid or ball-gown silhouette, there are some great options in the Pronovias Barcelona 2015 collection. Satins and blended Mikado creates a clean modern texture to give a sleek finish.